We’re speaking at the Woodford Folk Festival 2018/19 on fertility and postpartum care! Hello again! I’m very happy to break this exciting news to you. My fantastic naturopath-acupuncturist (and MamaCare) pal, Kathleen Murphy, and I will be teaming up again to speak about two of our favourite topics this year at the Woodford Folk Festival – Fertility (and Chinese Medicine) and The Fourth Trimester (or postpartum) care with Natural Medicine. We’re super excited to be bringing discussions on traditional practices and evidence based care combined with our own clinical experiences to the good people of Woodfordia. It’ll also be wonderful to be joining the great team at The Blue Lotus venue once again (where you’ll find the best of yoga, meditation and health speakers at the festival). You can find us on the programme here. Stay tuned for more info on when we’re speaking and details of what we’ll be speaking about! We hope you can come and join us and the rest of the great lineup that the festival brings this year! I am really glad I’ve had the opportunity to do this course. 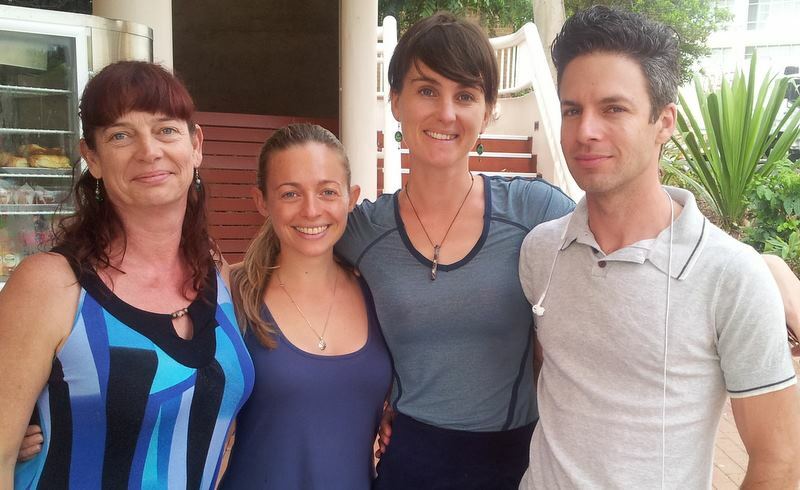 I have learnt so much, made great friends and studied under some of the great Chinese Medicine teachers in the world. Menopausal symptoms: Lifestyle factors that have been shown as risk factors for menopausal symptoms include smoking, alcohol use and increased body mass index (BMI). Women who participate in yoga and meditation are more likely to experience menopausal symptoms improvement. Polycystic Ovarian Syndrome (PCOS): Acupuncture was found to be more effective than physical exercise (however both in conjunction were beneficial) at reducing several common hyperandrogenic markers including serum testosterone and acne whilst also increasing menstrual frequency. Endometriosis: A Cochrane Review found that a Chinese herbal medicine formula had comparable effects to the drug gestrinone, with less adverse reactions. The same herbal formula was taken orally and as an enema producing a more effective treatment for reducing menstrual pain and shrinking abdominal masses than danazol. Insufficient lactation: Australia’s exclusive breastfeeding rates fall short of the WHO’s guidelines of six months. Chinese medicine has the potential to offer a two pronged approach through acupuncture and herbal treatment for milk quantity, flow and hormonal effects as well as to reduce anxiety which may assist women who are experiencing insufficient lactation. Postnatal depression (PND): Several small acupuncture trials have been conducted showing promise for the treatment of PND. Acupuncture has been incorporated in the United Kingdom’s National Health Service (NHS) since 1993 and assists women during pregnancy or in the postnatal period. Acupuncture is low risk of serious adverse reactions generally and can be used alongside most other therapies including antidepressants and while breastfeeding. I studied a diverse range of topics in addition to women’s health (eg. osteoarthritis, anorgasmia and irritable bowel syndrome) which I’ll cover in subsequent blogs. 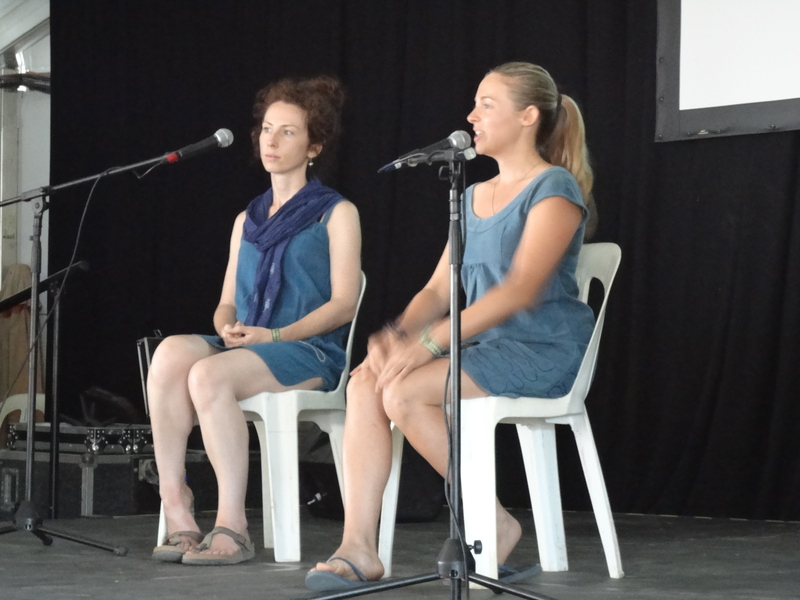 Kathleen and I presenting at the Woodford Folk Festival’s Blue Lotus stage. So my gorgeous friend and one of Sydney’s finest naturopaths, Kathleen Murphy, asked me some questions last week about the use of acupuncture in pregnancy. What about those acupuncture inductions? Can it really help a baby to turn into a good position for birth? Well I’ve answered all these and more… check out my answers here. And check out Kathleen’s blog too – she shares some fantastic ideas on healthy living. Kathleen consults with patients at a clinic in Double Bay. Can acupuncture enhance your fertility and support your pregnancy? Here’s a little guest piece I wrote for the Endeavour College of Natural Health Wellnation Clinics, How can Chinese Medicine enhance your fertility? 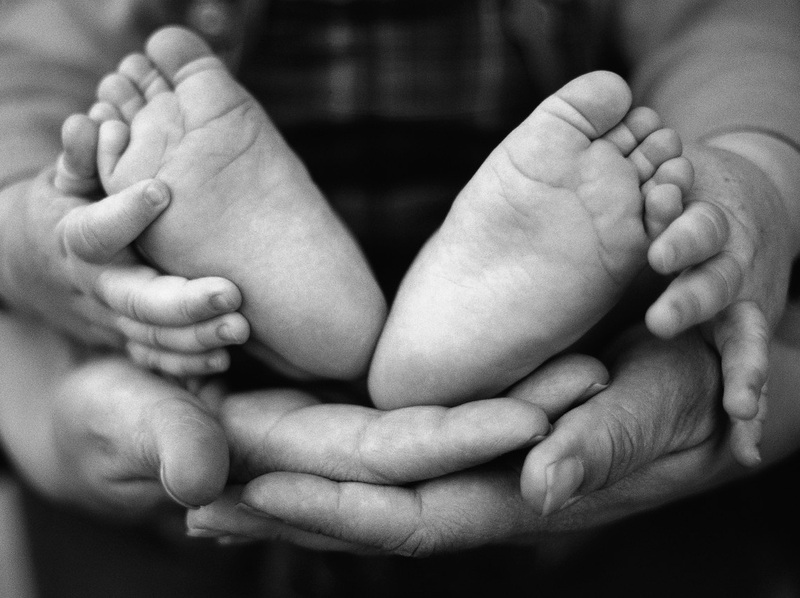 Helping men and women with fertility and those subsequent pregnancies is one of my favourite areas of practice, and one that I have studied intensively and had a lot of experience in treating with acupuncture and natural medicine treatment (whether it’s pre-conception care, assisting a patient with polycystic ovarian syndrome or low sperm count, or supporting a patient through IVF). If you wish to have a baby, are having difficulty in conceiving or are looking for supportive care in pregnancy, please contact me. I’d be happy to assist you with your journey. My great friend and excellent Chinese medicine practitioner, Peter Kington, has written his piece on ‘change’ for The Health and Happiness Collective blog hop today. Peter shares his experience about where lifestyle, diet, acupuncture and herbal medicine changes are necessary on the fertility journey. While some of these changes are easier than others, I completely agree with Peter’s ideas here – this is also my experience in helping my fertility patients too. We want to give you the support you need to make changes which will enhance the likelihood of a healthier pregnancy, a healthier baby and to recover better from your birth. Read Peter’s excellent post: Change and the Fertile Body. The last few weeks have been crammed with several great professional education seminars. This also included several question and answer sessions in small groups with the specialists. Here is where we got to ask all of those burning questions we store up from practice. It was a valuable day of adding to my knowledge of obstetrics and gynaecology from a western medical viewpoint. And next month on Wednesday 15th May, I am excited to say I get to share my Traditional Chinese Medicine knowledge on some of these topics (including acupressure techniques for birth) at the Capers Bookstore Complementary & Alternative Medicine in Pregnancy, Birth & the Early Postnatal Period. This is a seminar attached to the The Passage to Motherhood Conference that is targeted to midwives , obstetricians, paediatricians, general practitioners, lactation consultants, therapists, nurses, childbirth educators, physiotherapists and doulas. I’ll be speaking among brilliant professionals in the obstetrics and birth world including Michel Odent, Thomas Hale, Michael Woolridge, Catherine Watson Genna, Allison Barrett, Sarah Buckley and Rachel Reed. Here is the program. It looks amazing and I’m so pleased to be invited to speak at this great conference again.